For more information about creating a customized wellness program or offering yoga classes, please contact us or call 619.544.0587. Our mission is to help people enjoy healthier, happier lives. 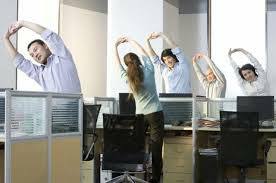 We provide top-quality yoga and wellness services for your valued employees. We understand that you and your staff are busy. Yoga One ensures the highest standards of professionalism, customer service and instruction. Our stellar track record for accountability, expertise and experience working with a wide variety of discerning clients make us the optimal choice for your yoga and wellness needs. We look forward to enhancing the well-being of your group. The Stress Reduction Clinic at the University of Massachusetts Medical Center found, “…yoga in conjunction with meditation can indeed relieve stress and improve work performance.” Click here for 38 Ways Yoga Improves Your Health – By Timothy McCall, M.D. Complimentary fitness modalities including but not limited to: fun runs, strengthen & stretch, mat pilates and more. Private sessions for individuals or groups seeking personalized instruction. This is ideal for people with unpredictable schedules or specific health issues. 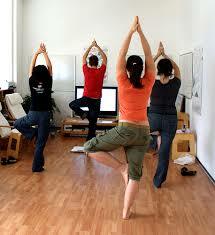 Sessions can be conducted on-site or at Yoga One. Gift certificates for employee incentives, birthdays, holidays, etc. Marketing/advertising materials to promote classes or workshops. I enjoy the awareness we feel within our bodies. I love to feel like all of my muscles are being stretched out after sitting behind a desk for most of the day. I enjoy the time to see friends at work come for their work out consistently. I enjoy the results from every practice by seeing my muscles getting more defined and toned. Yoga One designs and provides quality, professional wellness services for your specific audience, ranging from weekly yoga classes to full-scale wellness programs for large companies or events. Contact us below or call 619.544.0587. PRE-REGISTRATION ONLINE for CLASS IS REQUIRED prior to attending class. PAYMENT MUST BE MADE WITHIN THE MONTH IN WHICH CLASSES WILL BE USED. Please also be sure to select the correct location / package option – SDG&E or Sempra. MONTHLY PACKAGES EXPIRE AT THE END OF EACH CALENDAR MONTH. CLASSES DO NOT CARRYOVER INTO NEXT MONTH. Simply select the “Sign Up” button for the class you would like to attend, then enter your MindBody account information, including payment option.